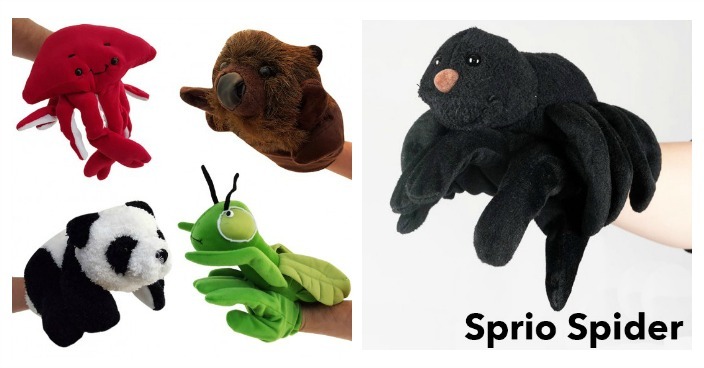 Adorable Animal Hand Puppets Just $4.99! Down From $20! Ships FREE! You are here: Home / Great Deals / Adorable Animal Hand Puppets Just $4.99! Down From $20! Ships FREE! GearXS has these Adorable Animal Hand Puppets on sale for $4.99 (Reg. $20)! Some puppets can be scary and weird looking, but not this adorable little creatures. The cute and friendly animal designs will delight you and your child for hours. Since all the puppets are built on top of a glove simply slide your hand in and they’ll fit like a glove, literally. Fitting perfectly on most hands these glove hand puppets are soft, durable and absolutely one of the cutest things you’ll ever see. Have fun for hours with these wonderful toys. Collect them all! !